Over the course of the 600 posts on my blog, I've covered some of the great historical moments of our times. Digging through the Dirt Candy blog I've discovered a play-by-play of the epic, era-defining events that shaped our lives. We all trembled when an online war broke out after Ed Levine at Serious Eats dared to review Dallas BBQ, the chain restaurant with jumbo margaritas, and Josh Ozersky called him out for it. Then I joined the fray!!!! Everyone breathed a sigh of relief when things rapidly de-escalated and it turned out that no one actually cared. But I did spark a war. A Nanaimo War! You may not understand what that means, but when news of my Nanaimo bars reached Canada it was no laughing matter as people took to the op-ed pages of Canadian newspapers to denounce my Nanaimo incursion. What's a Nanaimo? For shame. One of the first things I did to put Dirt Candy on the map was appear on Iron Chef America. I don't like to brag, but this episode has gone on to become one of the most important television episodes pretty much in the history of the world. Want to know what it was like? Don't worry, I pretty much ran that topic into the ground on this very blog. Lucky you! In 2010, the food world was all atwitter when Eleven Madison Park made it clear that they were going to make a play to be one of the world's great restaurants. How did they do it? By stealing all my ideas and turning themselves into fancy Dirt Candy. Fancy Candy! Also in 2010, things got dark when I worked the Grand Tasting at the Food Network's New York Food and Wine Fest. I went in expecting a pleasant event where people stopped by my table for some free food. Instead, I got a replay of Apocalypse Now only with more vegetables and no Marlon Brando reciting poetry. Welcome to one of the most harrowing days of my life. In 2011, one of the biggest cookbooks ever printed hit the stands, Modernist Cuisine. A massive, five-volume series that came in its own giant box and cost close to $600, all chefs could talk about was this book. All I could talk about? The fact that it took me 2 hours to unwrap the box it came in. Who can forget 2011's Pop-Up Fever that swept the world? Always happy to cling to a dying trend and clutch it in a death grip, Dirt Candy was there, popping up in your pop-up. You've been popped! It wasn't all fun and games. Hurricane Sandy hit NYC a few years ago and while it didn't do too much damage to Dirt Candy, we didn't escape unscathed. However, a lot of people (and restaurants) had it a lot worse. So, honestly, play the world's teeny tiniest violin for my problems. 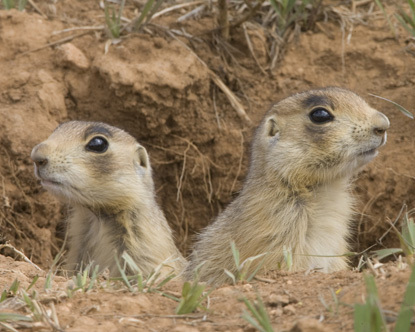 But there were times when problems reared their ugly little heads like angry prairie dogs. One of those times was one April back in 2011 when stolen floor mats, psychotic waiters, the Department of Health, and a longtime employee disappearing all conspired to give me what might be my worst week ever. It's a three-part epic of trauma that you can start reading here, continue reading here, then wipe away your tears and finish here.